Spinning out of the pages of DC NATION and leading up to Tom King's BATMAN VOL. 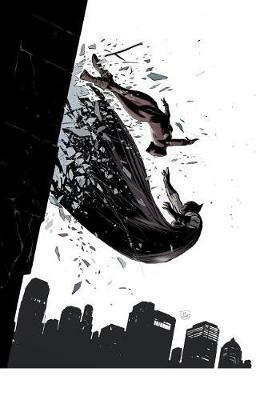 7, BATMAN- PRELUDES TO THE WEDDING is a collection of five one-shots starring Batman's friends and foes, all trying to celebrate--or sabotage--the Dark Knight's big day. Harley Quinn knows a thing or two about dysfunctional relationships. When she hears that her old flame is trying to get in the way of a happy life for one of her best friends, the Maid of Mischief tracks The Joker down to give him a piece of her mind--and maybe a few blows from her hammer, too. Meanwhile, Nightwing fulfills his duty as best man by picking up the engagement ring when Hush interferes; Ra's Al Ghul attempts to recruit Damian as the heir to the family business; Batgirl and the Riddler engage in a battle of wits; and Anarky taunts Red Hood as a failed Robin. Writer Tim Seeley (Grayson, Nightwing, Green Lanterns), teams up with an all-star cast of artists to expand the world of Tom King's critically acclaimed series, Batman! Collects Robin vs. Ra's Al Ghul #1, Nightwing vs. Hush #1, Batgirl vs. The Riddler #1, Red Hood vs. Anarky #1 and Harley Quinn vs. The Joker #1.